The CBICC Membership Directory is published annually in partnership with Barash Media. All CBICC members receive a complimentary copy. If you would like additional copies, stop by the CBICC offices or email irene@cbicc.org. 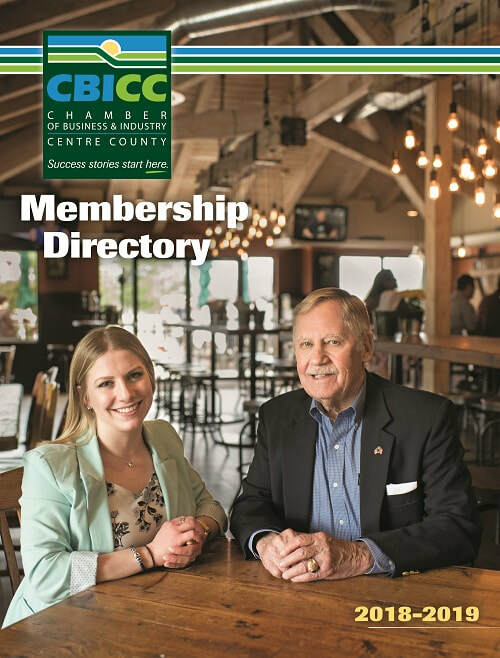 Centre Connection is the CBICC's printed newsletter, published in partnership with Samle Media/Pennsylvania Business Central. Copies are mailed to Chamber members, and available to the public at strategic locations throughout the county. Click on the image to read the current issue. Interested in advertising? Email lkistner@cbicc.org for more information. Go behind the scenes with Tait Farm Foods -- the 2017 CBICC Small Business of the Year -- in this Centre Connection article by R. Brock Pronko. Read the article now.